As powerful as Jira, as simple as Trello. 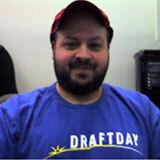 Watch Video Sign Up - Its Free. Manage your time tracking conveniently and quickly. The current time tracker is always visible in the header and also allows you to quickly switch to track time on another task. 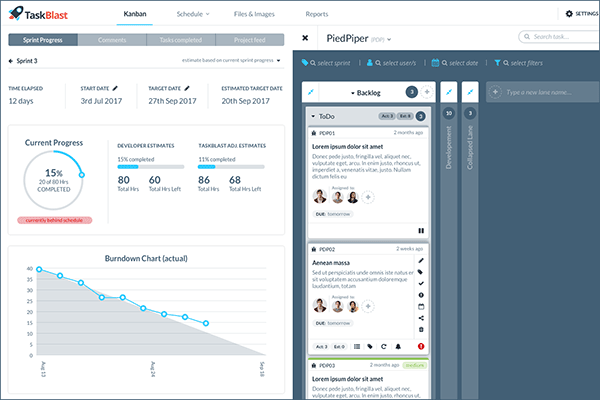 Agents can see a recap of their own time in the time tracking sidebar and mangers and stakeholders can view a detailed report of time, costs and budgets for all projects broken down by user or task. Filter by one or more projects, sprints, tag, billable and date. Choose to show or hide hours, cost and budget information from clients. 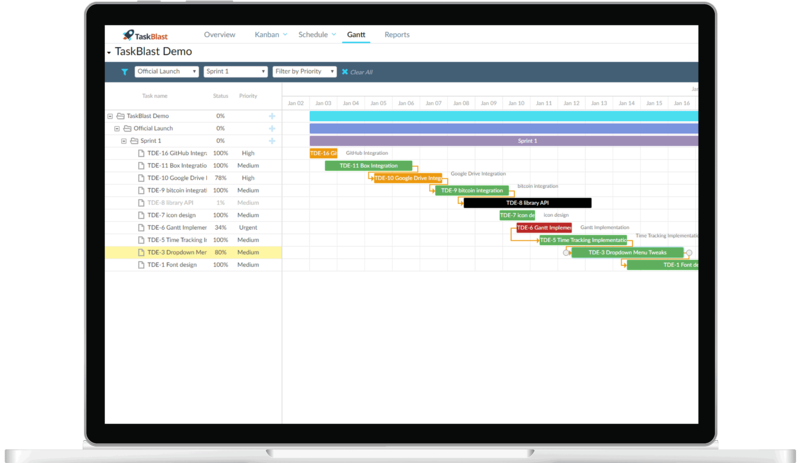 Use the Gantt view to visually plan your projects. The seamless integration means any updates in the Kanban view are synced to the Gantt and vice versa. 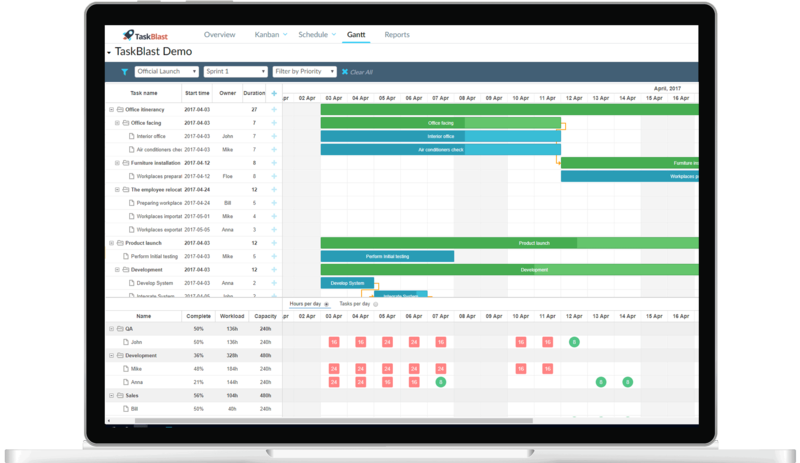 Less duplication and no integration or API headaches and no additional costs for third party Gantt tools. Easy to use, high visibility of potential future problems & accurate future projections. View high-level status of all projects in one single view. Identify and address issues before they become bottlenecks. All important attributes are only one click away. Do much more without having to leave the Kanban View. The key information is easily accessible from the card giving you better visibility without needing to open an issue. Get vital information on projections and budgets to help you keep deadlines and budgets on track. 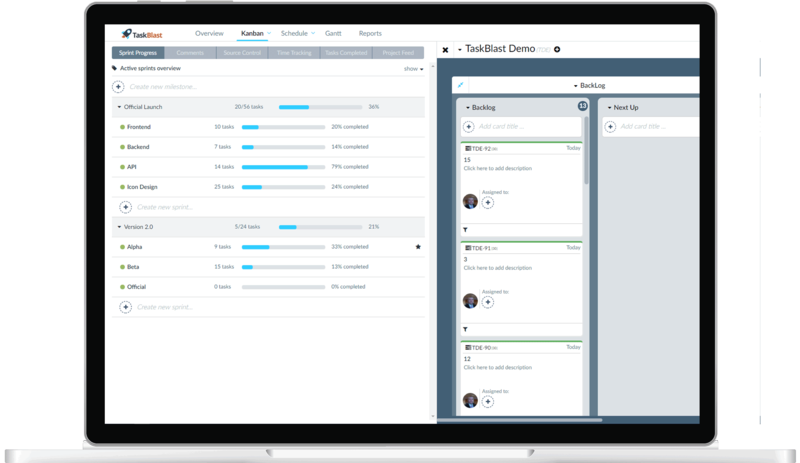 If your team uses an agile methodology then TaskBlast has the tools to help you implement agile successfully. Backlog, milestones, scrum/sprints/scrumban, work in progress limits, velocity, burndown and more. 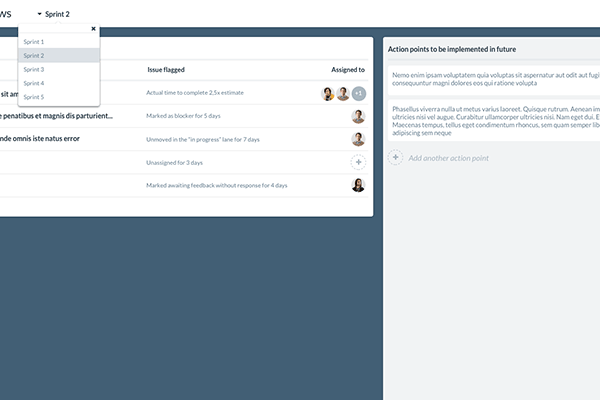 We are also actively working on two new features to help manage your daily stand-ups and also a sprint review feature. We don't impose anything on you. 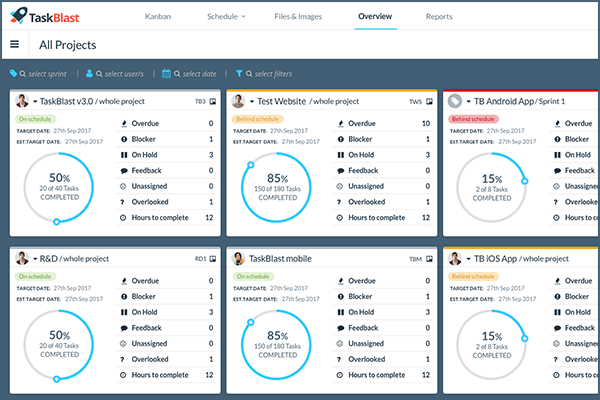 If you want to use a hybrid version of agile or don't want to use agile at all then TaskBlast can work equally as well. Cards can become cluttered with a lot of irrelevant comments which can make it difficult for people to understand the current status. 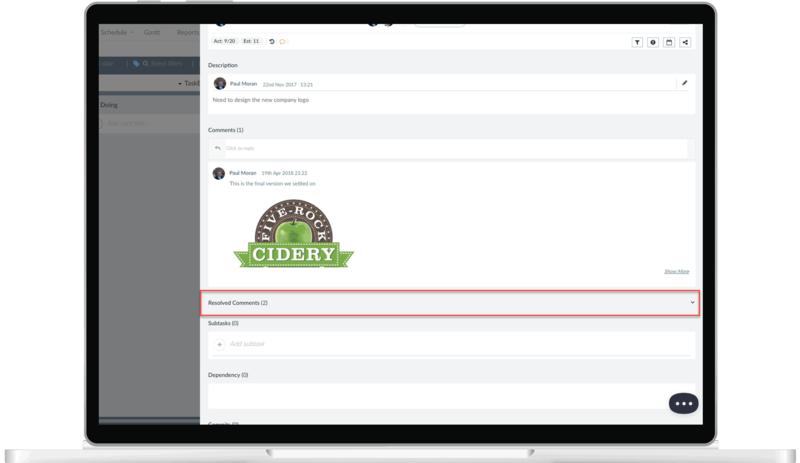 Now TaskBlast offers the option to resolve comments so only the relevant comments are left. Use the Gantt view to visual plan out your projects. The seamless integration means any updates in the Kanban view are synced to the Gantt and vice versa. Less duplication and no integration or API headaches and no additional costs for third party tools. Give your team the tools they deserve. All the features needed for a successful release. State of the art editor, paste images inline and much more..
Plan your day and view all your tasks in the My Tasks View. Every project has a unique email which converts and email to a card. Set a max amount of tasks per lane. Our algorithm automatically pushes the most important issues to the top. Quickly assign one or more people to a task. Sync your project chat to any slack chat. Send your commits to a TaskBlast project. Smart Commits. Join happy customers all over the world using TaskBlast to help manage their projects. I love the visibility the high level overview provides. I was able to get my team using it the same day we set it up without any training. TaskBlast has significantly improved our productivity. I spent more time figuring out how to use Jira than managing my projects, most features I never used. TaskBlast has just what I need without the complexity - Customer for life. Task Blast makes it easy to communicate with my coworker who won't be up for 8 hours. It keeps important information and tasks from being buried in group chats/emails! Managing staff resources can be a challenge. With TaskBlast's resource management you can easily see how many hours or tasks per day each employee has on their plate allowing you to spread the workload evenly. Also, When assigning a task to a user, you can see data on the hours available for each user. 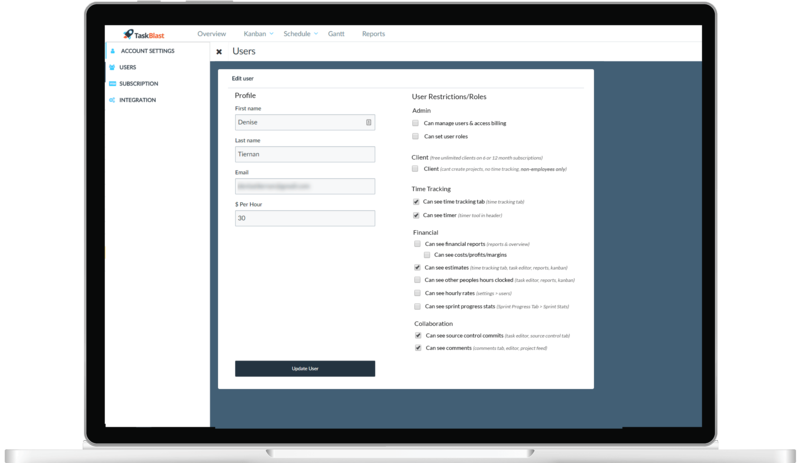 With TaskBlast you have control over what users and clients have access to. Hourly rates, hours clocked, private internal comments and various other permission options give you all the control you need to manage your team and client privacy. 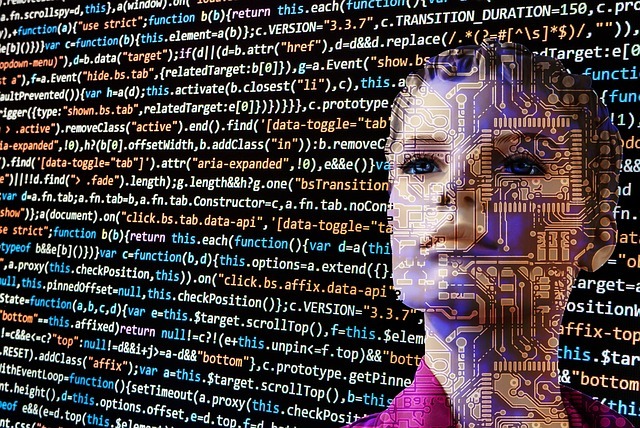 Exciting new features you can expect to see over the coming months. Send automated prompts to users to ask for updates when specific situations are triggered such as a task is due in 2 days. Sprint reviews give you the tools to identify which tasks were bottlenecks during the last sprint to improve velocity in future. 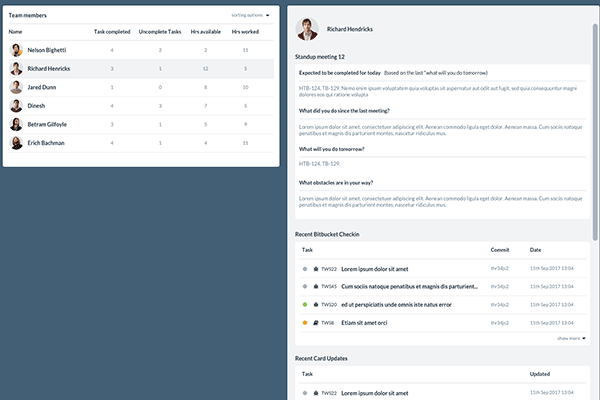 The team view puts all the recent relevant information from the kanban, source control and other sources during a standup or team meeting. 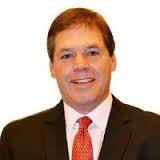 We have a single plan which you can choose to pay monthly or yearly. You can always cancel your subscription anytime from your account. 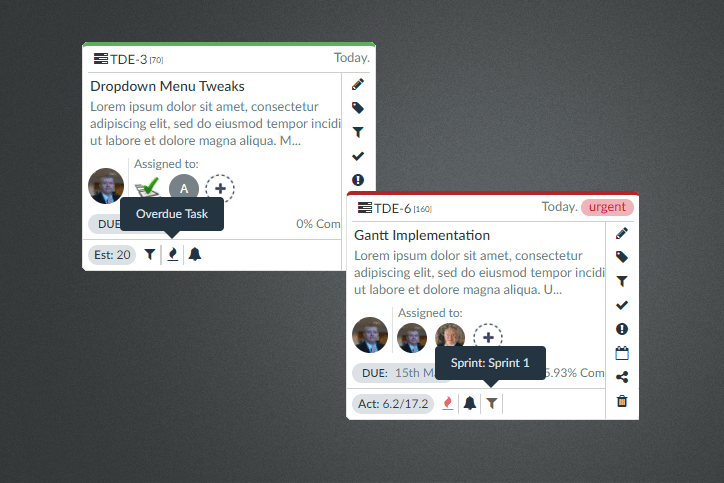 TaskBlast is free for up to 2 users. One free client per paid user is available on the annual plan only. Example: if you have 10 paid users you also get up to 10 free clients. 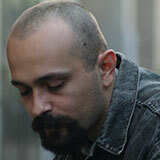 Free clients are for clients or management accounts who use the software in a monitoring capacity. They cannot create projects or use time tracking. 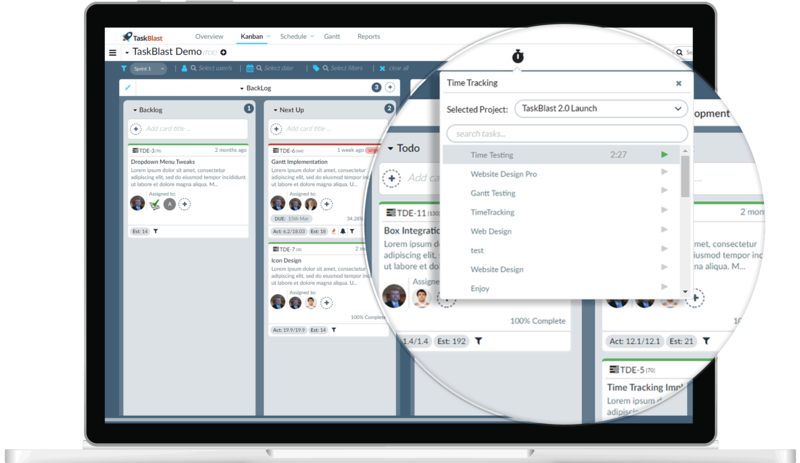 TaskBlast is project management software built for software teams with time tracking seamlessly integrated.